A brilliant rum from one of our very favourite producers. This Rhum J.M. bottling is named ‘1845’, after the year when the Martinique distillery was first established. 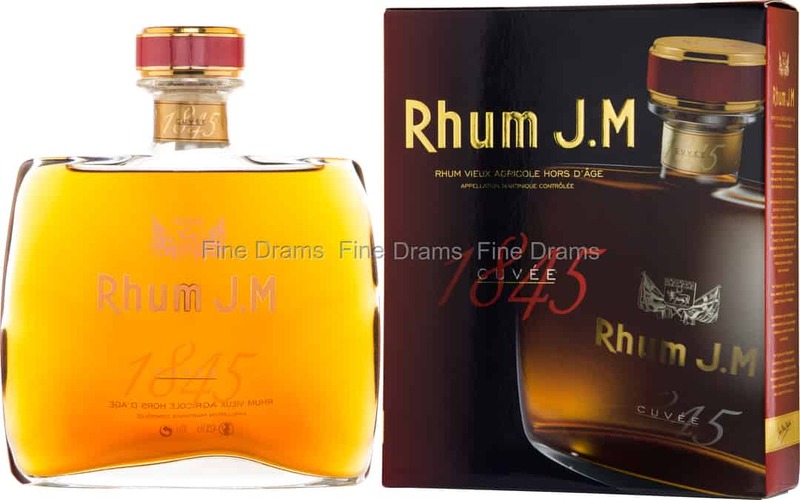 Rhum J.M.of course produces Rhum Agricole, a delightful style, which uses fermented sugar juice, as opposed to molasses, creating a more fragrant and grassy character. This bottling is a blend of rums, with a minimum age of 10 years (quite a while considering the temperature and climate of Martinique), ensuring that this is a spirit of immense complexity and depth of flavour. Drinkers should expect notes of fresh ginger, mango, pineapple, coconut, grassy flowers, vanilla, cracked pepper, coriander, allspice and toffee. Bottled at 42% ABV for a slight boost in flavour, this is a superb product, which comes complete with a smart presentation box. A fitting honour for the foundation of this iconic distillery.